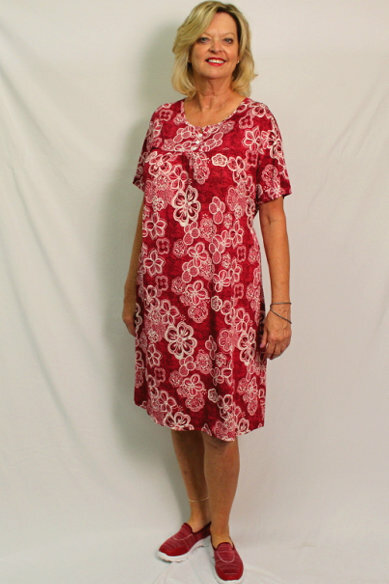 A comfortable dress free of a waistline. Fashionable neck treatment. Pull it on with ease. 100% acrylic. You will receive exactly what is shown for this top unlike many of our basic products (that are usually ordered by nursing homes for their residents/patients and are shipped in a variety of different treatments, styling, colors, patterns and fabric contents in order to keep every resident looking different).